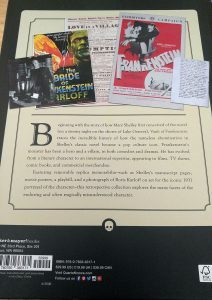 Celebrating the 200th anniversary of Mary Shelley’s classic tale of science gone wrong, Vault of Frankenstein traces the history of how the monster became an icon of pop culture. A loving tribute to the novel and the many iterations of its creature, this book shares the history of this tale through time with text, imagery and removable replica memorabilia. Available on Amazon in hardcover. You can find it at other online and offline booksellers, as well. “It’s alive!” Were more famous words ever spoken? Although I don’t believe they ever appeared in the original novel, they’ve become tightly interwoven with the pop culture experience of Frankenstein’s monster. 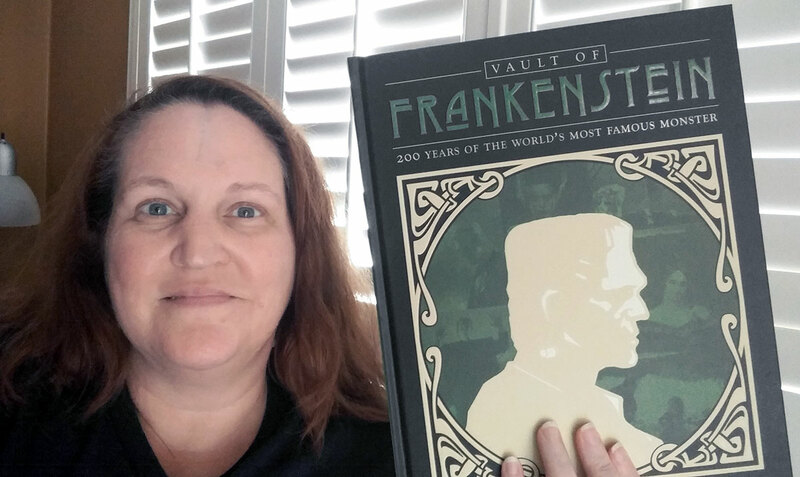 Vault of Frankenstein covers the history of Mary Shelley’s famous creature from the inspiration of the novel through it’s hold upon the popular imagination today—and many, if not all, points between. Vault of Frankenstein is a beautiful book to peruse. 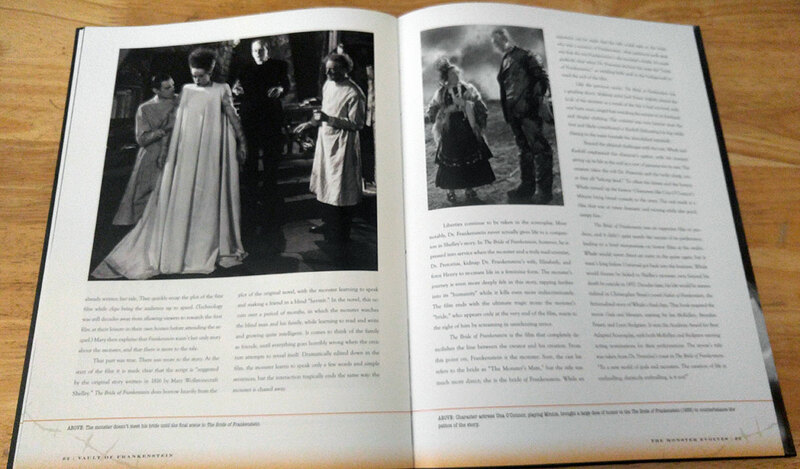 From the detail of aged pages to the black and white and colors images of Frankenstein’s monster through time, you could spend hours remembering your favorite moments from The Bride of Frankenstein, Young Frankenstein and more. 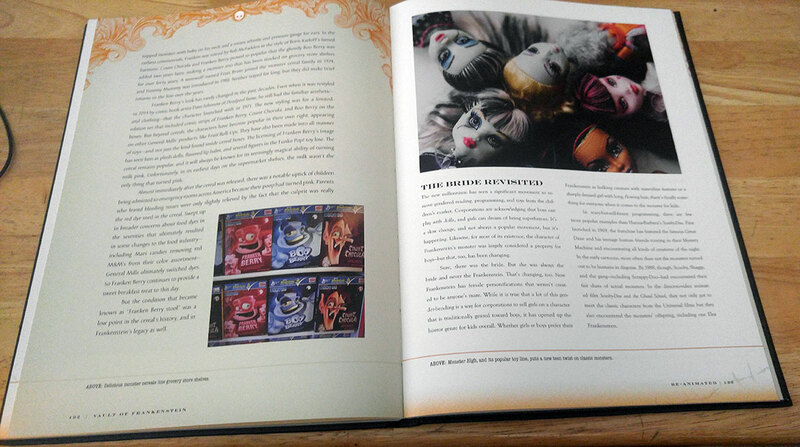 The book is well crafted and can make an excellent addition to your coffee table collection. That said, I wish it wasn’t so big! The text is fascinating and I would love to be able to take this on the road with me and read it thoroughly, but it is too ungainly. Also, I think that images take precedence over content. 200 years is a lot of history to cover in less than 176 pages (there are several two-page image-spreads with no text at all). Perhaps will give us a sequel that gives us more meat and less visual treat. The history of Shelley’s character is rich and varied and deserving of a deeper dive. This book is an excellent overview of the history of Frankenstein’s monster, but won’t satisfy the cultural history buff. Grab your copy on Amazon today. NOTE: Although I received this book free to review, that did not affect my opinion of the book. Read past reviews of books I’ve received for free and you’ll know I don’t hold my punches.